Join RP for our third season as we explore alternative uses for plants. 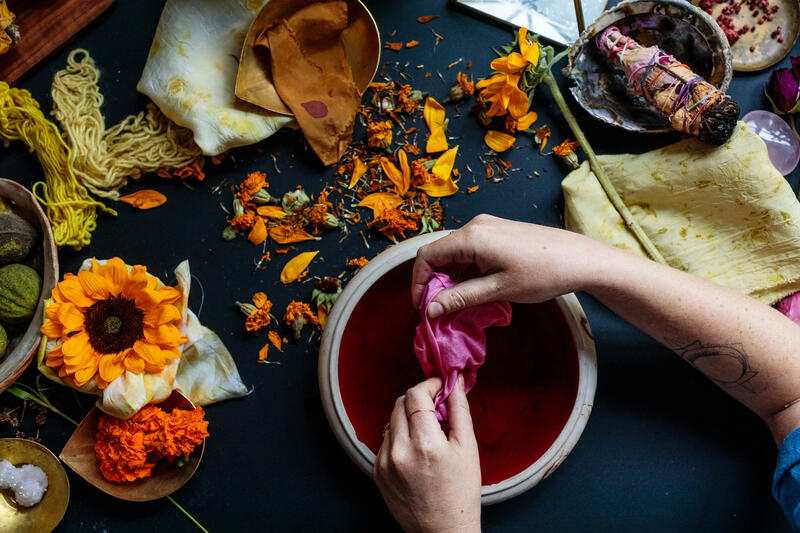 We'll learn how to make natural dyes with Barrie Cohen from Anthemia, the basics of herbalism with Maria Christodoulou from Bliss Without Bother, and... proper disposal in case you accidentally leave something out too long with Domingo Morales from Red Hook Compost. Tickets include presentations, herbal tea, wine, and day passes to The Yard. Pizza will be available for purchase. Renaissance Person (RP) was founded in May 2016 as a celebration of being curious and well-rounded. Each month, experts and enthusiasts come and teach us skills over drinks. Beatbox with the world champion? Shuck oysters with a marine ecologist? Make your own pinata over a tequila tasting?